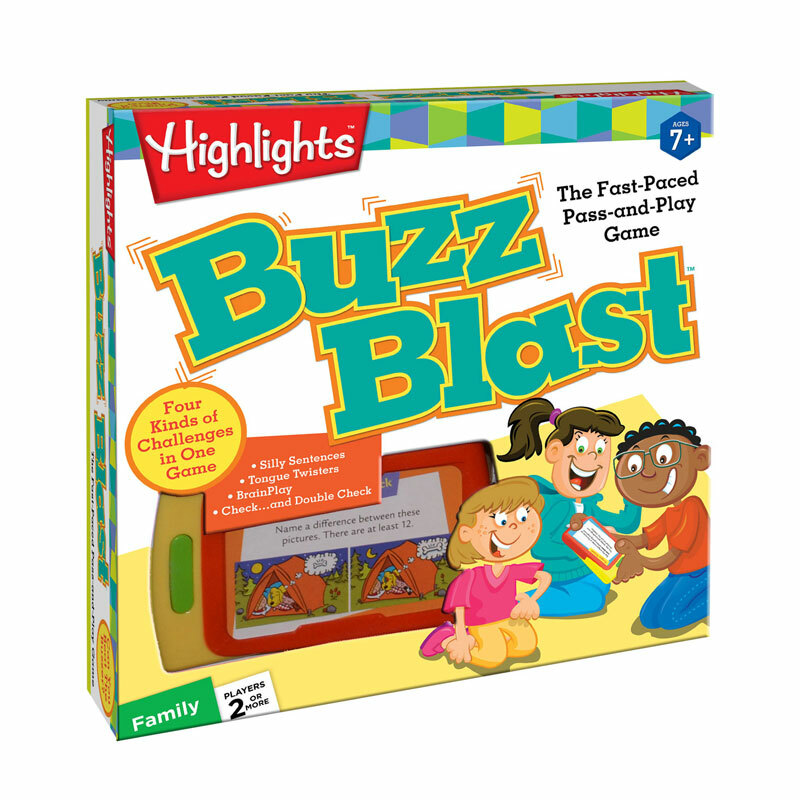 Players take turns at 4 exciting challenges — spot differences between 2 pictures, answer a tricky question, complete a silly sentence or blurt out a tongue twister. But think fast and pass the Buzz Blaster before the cow moos, the spring boings, or the cat meows! Winner of the PAL Award for exceptional toys, games and books that encourage language, spark fun and invite creative play.